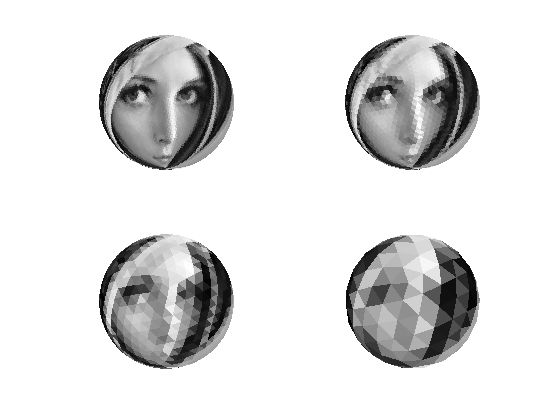 This tour explores multiscale computation on a 3D multiresolution sphere using a face-based haar transform. One can define a function on a discrete 3D mesh that assigns a value to each vertex. One can then perform processing of the function according to the geometry of the surface. Here we use a simple sphere. First compute a multiresolution sphere. 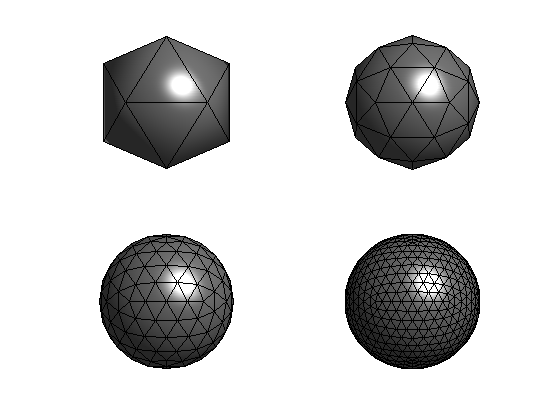 Display two examples of sphere. Comput the center of each face. 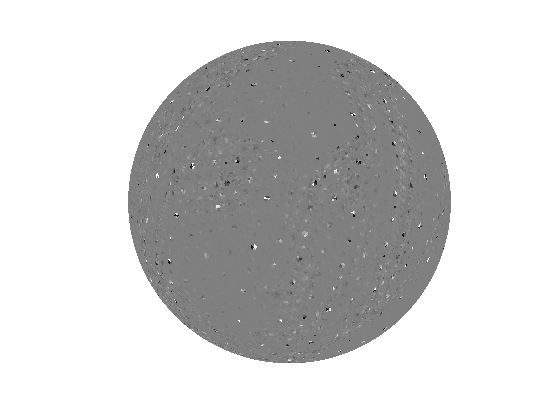 Load a function on the sphere. Use the center of each face to sample the function. Display the function on the sphere. One can compute low pass approximation by iteratively averaging over 4 neighboring triangles. Perform one low pass filtering. Exercice 1: (check the solution) Compute the successive low pass approximations. One can compute a wavelet transform by extracting, at each scale, 3 orthogonal wavelet coefficient to represent the orthogonal complement between the successive resolutions. Precompute the local wavelet matrix, which contains the local vector and three orthognal detail directions. Exercice 2: (check the solution) Compute the full wavelet transform, and check for orthogonality (conservation of energy). Display the coefficients "in place". Display the decay of the coefficients. Exercice 3: (check the solution) Implement the backward spherical Haar transform (replace U by U' to perform the reconstruction), and check for perfect reconstruction. 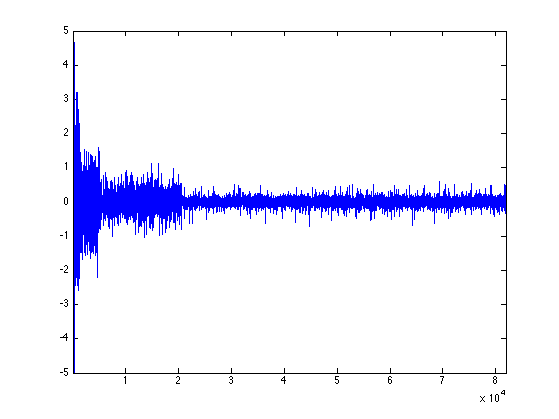 Exercice 4: (check the solution) Perform Haar wavelet approximation with only 10% of the coefficients. 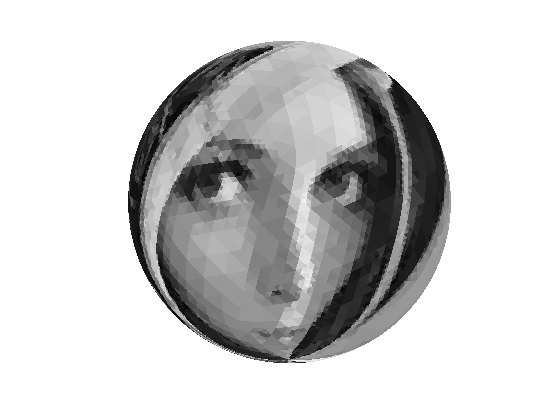 Exercice 5: (check the solution) Compare with the traditional 2D Haar approximation of M.
Exercice 6: (check the solution) Implement Spherical denoising using the Haar transform. 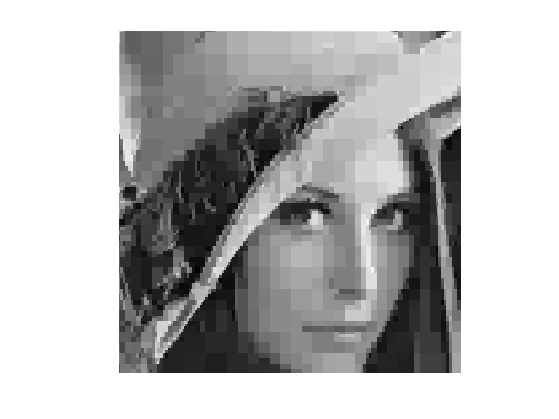 Compare it with vertex-based lifting scheme denoising.